A luxury weighted blanket that’s designed to be 7-12% of your body weight. Using deep touch pressure therapy (DTP), it’s proven to relieve stress, reduce anxiety and improve your sleep, allowing users to fall asleep faster and for longer with fewer interruptions. Deep touch pressure therapy (DTP) is about gently applying pressure to the body, which releases a calming chemical in the brain called serotonin to relax the nervous system by providing proprioceptive input, giving users the feeling of being hugged or held. Low serotonin tends to be present in kids with autism or those who have anxiety, depression, aggression, OCD, PTSD and bipolar disorder. By using DTP through their weighted blankets, users can relieve and greatly reduce these symptoms and improve their mental health. The whole blanket is 60 x 80 inches (152 x 203 cm) and provides one user with a grounding experience. 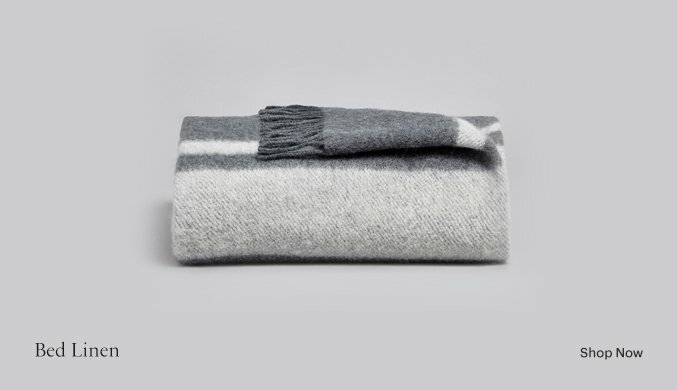 The internal blanket has a soft polyester cover & gridded stitching to keep the internal glass microbeads in place, ensuring weight is uniformly distributed. Their exterior Minky stitched micro-fibre duvet is ridiculously soft and removable for a cooler sensation. Internal ties keep the blanket securely fastened inside the duvet. Both blanket and cuddly duvet are machine washable. The internal blanket has a soft polyester cover & gridded stitching to keep the non-toxic internal glass microbeads in place, ensuring weight is uniformly distributed. 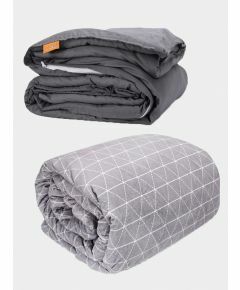 Their exterior Minky stitched micro-fibre duvet is ridiculously soft and removable for a cooler sensation. Internal ties keep the blanket securely fastened inside the duvet. Both blanket and cuddly duvet are machine washable. 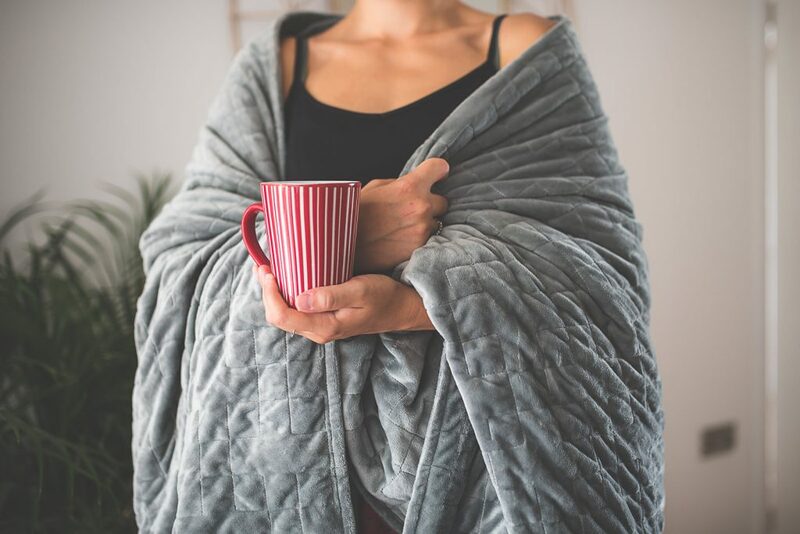 In this study, Occupational Therapy in Mental Health in 2008 found that 63% of patients reported lower anxiety after use and 78% preferred the weighted blanket as a calming modality. A study from the Journal of Sleep Medicine and Disorders found it easier to settle with increased sleep duration, decreased movements and more “refreshed” feeling afterwards. DTP, as shown in the Journal of Medical and Biological Engineering, is about gently applying pressure to the body, which releases a calming chemical in the brain called serotonin to relax the nervous system. 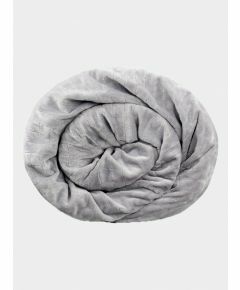 With a combination of an incredibly soft microfiber cover and evenly distributed weight through the blanket, gives users the feeling of being cuddled, making this the most comfortable blanket ever. All Beyond Blanket’s weighted blankets come with a risk-free 60 night sleep trial. 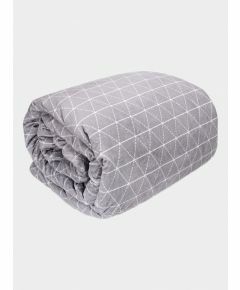 You may return the weighted blanket to Beyond Blanket at any time for a refund within the first 60 nights after delivery. You will need to contact us first before the end of the 60 nights period at customerservices@myza.co to request your Return Merchandise Authorisation and to make arrangements for collection. Please be ready to provide proof of purchase, as it may be required. Beyond Blankets is a small company based in Devon, UK with a big mission to improve sleep, reduce stress and alleviate anxiety. 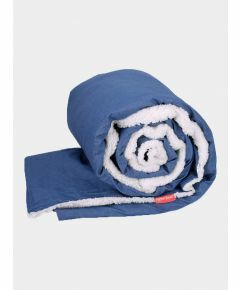 We specialise in manufacturing and selling the best quality weighted blankets in the UK, at an affordable price. Our blankets are designed to be 7-12% of your body weight. Using the magic of deep pressure therapy, they release happy chemicals in your brain known as serotonin and dopamine, which aids sleep and improves your overall mental health. Rocabi Luxury Adult Weighted Blanket - 60" x 80"